Features :- 2800W for fast heat-up : High power for fast heat-up and powerful performance .- Continu..
- 2800W for fast heat-up : High power for fast heat-up and powerful performance . - Continuous steam output to ease crease removal : Continuous steam output of up to 55 g/min gives you the ideal constant amount of steam to efficiently remove all creases . - Steam boost up to 230 g/min to remove even the toughest creases : Use the steam boost to remove stubborn creases or to refresh your clothes with vertical steaming . - Automatic Steam setting: the right steam amount for each garment : With the Automatic Steam function, you don't have to worry about selecting the amount of steam. Just select the temperature for the type of linen you're ironing and the iron will do the rest . 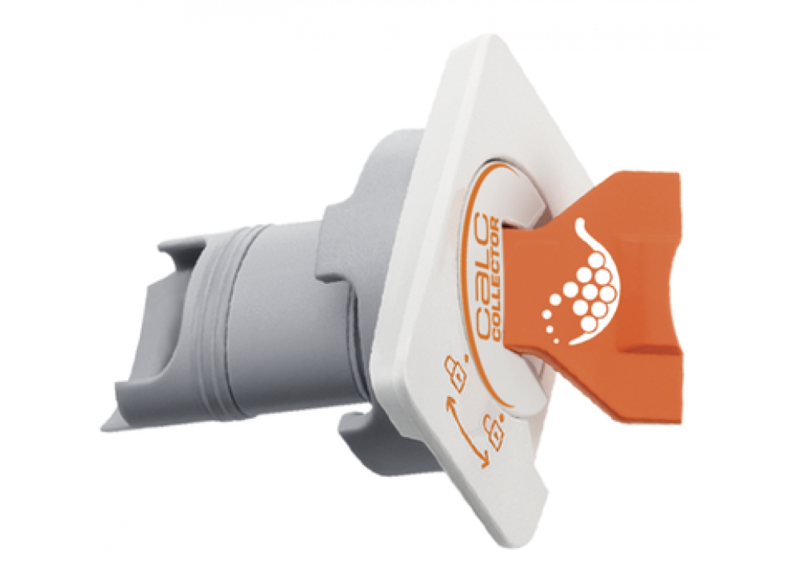 - Smart auto-off for extra safety : When accidently left unattended, the iron automatically turns off. If left on its heel, it will switch off in 8 minutes. If left on the soleplate or on the side, it only takes 30 seconds before the iron shuts off . 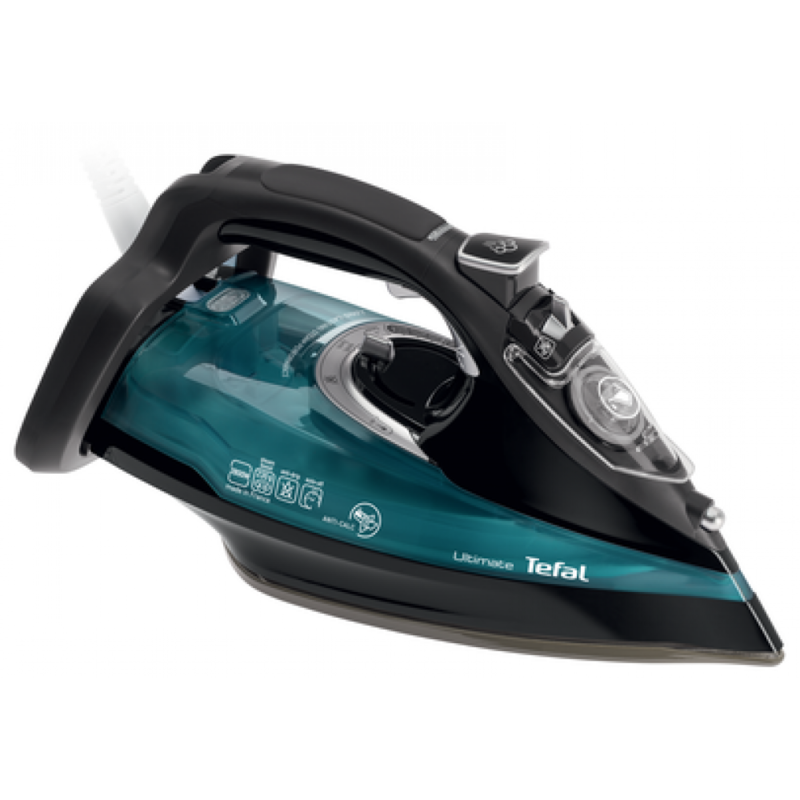 - Exclusive removable calc collector for long-lasting steam performance : Tefal’s exclusive calc collector captures calc particles, ensures durable steam performance and is very easy to clean . 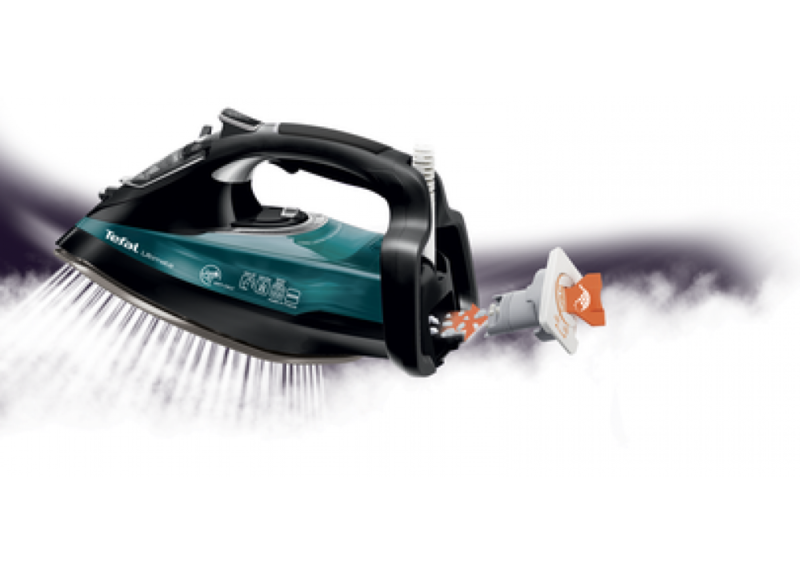 - Durilium® Autoclean Technology soleplate : The Durilium® Technology ensures superior glide for fast and effortless ironing. The Autoclean catalytic coating invented by Tefal helps keep your soleplate without stains and in perfect condition over time . - Anti-drip to keep the linen spotless : The anti-drip function prevents water from dripping and staining your linen while ironing . - Large watertank for long ironing sessions : Thanks to a 350 ml (0.35 L) watertank capacity, you will comfortably go through your long ironing sessions . - Black & Green .